Thoughtful analysis and commentary about the Columbus Crew and Major League Soccer, based largely on an accumulation of data. If you think Anthony Precourt, Camp Tiger Claw incarnate, didn’t rush to announce that he’d settled for McKalla Place as a petulant, extremely on-brand attempt to steal thunder from the #SaveTheCrew Community Kit partay (more on that later), then we have a bridge to sell you. Or more accurately, the City of Austin has a toxic waste dump 11 miles from downtown that it would like Precourt to take off their hands (more on owning PSV later, too). C’mon down to McKalla Place, kids! Boyish Anthony even has great, new, CDC-mandated uniforms for you! A certain Columbus Crew legend who also happens to be the most prolific goal-scorer in MLS history was back in the news this week. Believe it or not, Stern John is still sorta playing, at least according to Wikipedia. All we’re saying is — with zero depth at striker beyond Gyasi Zardes and Adam Jahn — Gregg could do a lot worse than bringing John back to Columbus. Last week, we used some of this space to caution any MLS commissioners or team investor-operators that “#SaveTheCrew is basically the only bipartisan issue in the state” and not to be surprised when lawmakers try “enforcing laws on the books.” While we do have lots of real sources at all levers of power, we were as pleasantly blindsided as the rest of you by the joint-lawsuit filed by the state and City of Columbus Monday, asking a judge to ensure PSV and the league comply with the “Modell Law.” Whether the Ohio attorney general got wind of some sinister backroom dealings or was just responding to PSV’s latest, hilariously-inept overtures in Austin, Texas, this, folks, is major development. MLS and PSV released a joint statement responding to the lawsuit the following day. Why a joint-statement? This could be for a couple reasons: 1) MLS is actually co-defendant along with PSV and other related shell corporations and/or 2) every statement or public comment PSV has put out without adult supervision has only built the AG’s case. We’ll leave legal wrangling over the law’s applicability to licensed legal wranglers but rest assured, if said legal wrangling reaches the courtroom, it’s not going to be a good thing for MLS or PSV, which leads us to our next point. It may have taken more than 24 hours for the joint-response to come out, but don’t let that distract you from the fact that it’s just four paragraphs of recycled talking points and fails to address a single point made in the complaint. Or that multiple lawyers billed PSV and/or MLS hundreds of dollars for each hour they took to “craft” that response. Go ahead. Soak it in. Take all the time you need. 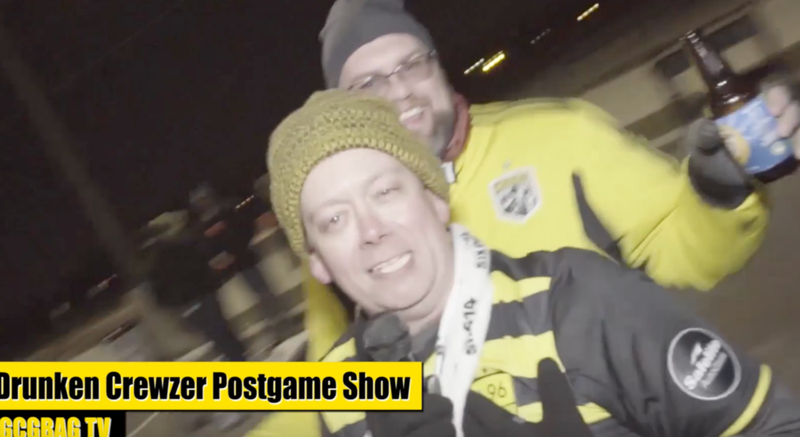 While SKaMzZ the Usurper may lay claim to the title of Official Gamer of the Columbus Crew (for now), GCGBAG’s own Rick and Rick returned this week with new and improved FIFA Scouting Report. Every fan’s crazy ‘bout these sharp dressed men! The major league debut from young designated player Milton Valenzuela aka Young Deepy was straight 🔥🔥. The 19-year-old leftback connected with compatriot Fredrico Higuain for the opening goal of the 2018 MLS season and combined with Lalas Abubakar and the rest of the Crew backline to stymie the defending Best Team In MLS History™ on opening day. All three players were selected to the MLS Team of the Week, along with Crew legend Justin Meram, which is a bit weird because everyone knows he retired from soccer this offseason. Tuesday, March 6 would’ve been the former Columbus midfielder’s 28th birthday. Many former and current Crew players, along with fans, took some time remember the KU15, who even in his relative short time here left an indelible mark on Columbus soccer community. Kirk, you are loved, missed and forever massive. Click here to make a donation to the Kirk Urso Memorial Fund. With the full weight and support of #SaveTheCrew behind our ticket donation drive to support our friends at Community Refugee and Immigration Services, the question was never “if” but “when” we’d reach the goal for Crewsmas. And that question was answered Monday. Crew fans, you’re all beautiful! It’s Crewsmas Saturday and it’s going to be the greatest day of the year, at least until the day we Save The Crew. And win the MLS Cup. And capture the Sextuple. But those incredible future achievements shouldn’t overshadow what is always a rip-roaring good time. It’s gotta be if the Andy Gruenebaum is coming to town! Don’t worry the Hebrew Hammer made it in safe and sound. With so much going on, you could forgive Failing Corporate Celebrity Fan Morgan Hughes for forgetting to update the #MegaTailgate map for all the new Golden Boys and Girls that will be joining us for the Crewsmas celebration Saturday. But we won’t. See you bright and early Saturday! The Old Farts are cookin’ up the chili (and maybe even some queso!) and we’ll have loads of other, uh, “activities” to keep you warm leading up to kick off against le Impact de Montreal. It’s been just another typical week for the #SaveTheCrew movement. On top of all the boring ol' lawsuit that could be both the movement's salvation and the MLS's eventual undoing, there was also the yawner of a jersey reveal party Thursday night. One thing is for sure, a handful of passionate Crew supporters didn't make the actual MLS team's roll out of the F̶u̶n̶e̶r̶a̶l̶ Black Kit seem the least bit unfulfilling. If one wanted to purchase one of these "Community Kits," for the mudane af price of $75, they could probably purchase them here.